Whiplash is one of the most common injuries that can result from an SUV accident in Iowa. This can occur when a sudden impact causes damage to soft tissues of the neck. Whiplash can also be the result of an injury to the back nerves, ligaments, and muscles. Another common treatment for whiplash is a steroid injection. If you have suffered whiplash after an SUV accident in Iowa, then your medical expenses may be compensated through an Iowa personal injury claim. To file an Iowa personal injury claim for a whiplash injury or other injuries that may result from an SUV accident in Iowa, talk with a Des Moines SUV accident lawyer. A lawyer can work with you to collect evidence which proves the other driver's negligence in your accident. While you focus on recovery, your lawyer can represent you throughout every stage of the claims process. Recovering damages after an SUV accident in Iowa can be complicated. The Des Moines SUV accident lawyer team at Walker, Billingsley & Bair work hard to level the field between injured Iowans and insurance companies. 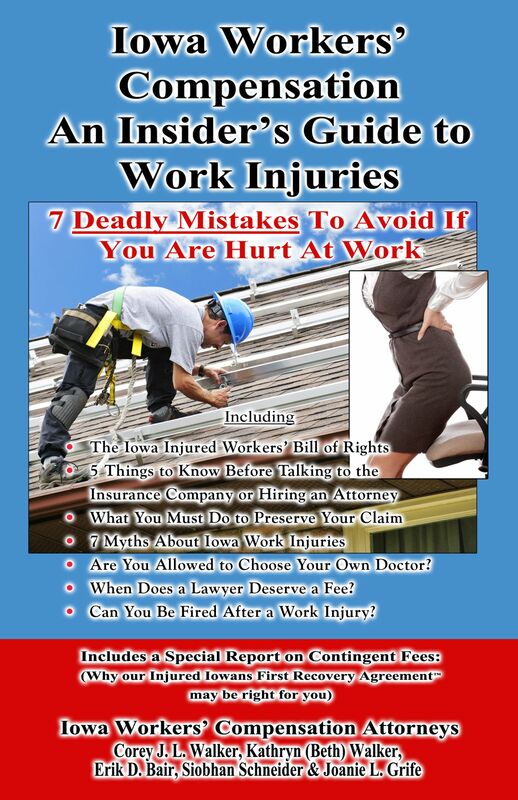 That's why we provide this complimentary book; The Legal Insider's Guide to Iowa Car Accidents: 7 Secrets to Not Wreck Your Case. To learn more about what our legal team will do to help you protect your Iowa injury claim, contact Walker, Billingsley & Bair to schedule a no-cost consultation - 888-435-9886.